The unique design methodology applied in Camber Steady reduces the mean power errors at both edges of the lens, which provides a significant reduction in maximum unwanted astigmatism. This delivers a lens that provides better image stability and superior comfort. Developed specifically for users of electronic devices, Camber Mobile incorporates Smart Add technology, which provides wider near and intermediate visual fields with a smooth transition that allows wearers to change focus between different distances in a more agile and efficient way. Camber N (H25) is a premium progressive lens that provides an enhanced reading zone while keeping good intermediate and near visual areas. Wearers can take advantage of a stable and wider near visual zone that makes it easier to read for long periods of time, and perform close-up activities. Camber D (H65) has an extra-large distance visual field delivering more freedom for lateral eye movements. Wearers experience superior comfort and high-definition vision, especially when performing distance visual activities like enjoying landscapes or watching movies. Camber F (S35) is an extra-soft design specifically developed to reduce lateral aberration, providing a more realistic view of the environment. Its smooth transition between distance and near vision along with minimum lateral distortion make this lens a great option for first-time progressive lens wearers and those looking for a very comfortable lens. Camber Office is an occupational lens that brings visual comfort to the wearer in the intermediate and near visual fields. Thanks to Smart Add technology, the step between fields is more dynamic offering greater agility to change the focus to different distances, especially when working with digital displays. 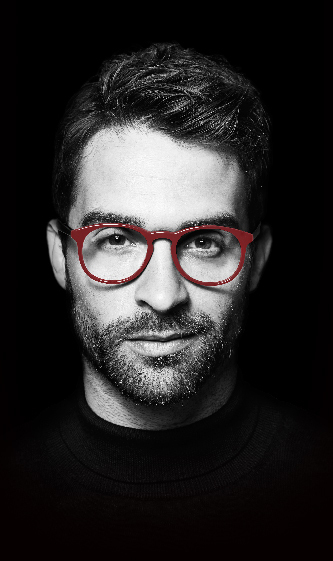 Camber Steady is a premium progressive lens with a unique architecture. In the front surface, the Camber lens blank provides the ideal base curve, offering an unbeatable visual quality. The back surface utilizes a personalized progressive digital design developed using an innovative method, Steady, which dramatically reduces lateral distortions. In a recent clinical trial 100% of wearers reported higher satisfaction with Camber Steady lenses. Wearers perceived improved lateral vision and greater image stability. Adaptation was faster with Camber Steady after one day of wear.